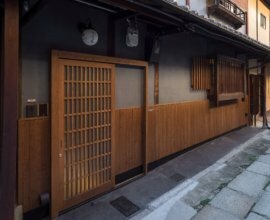 *As the machiya house is situated at the end of a narrow alleyway (with steps) taxis/vehicles are unable to drop guests off in front of the house. 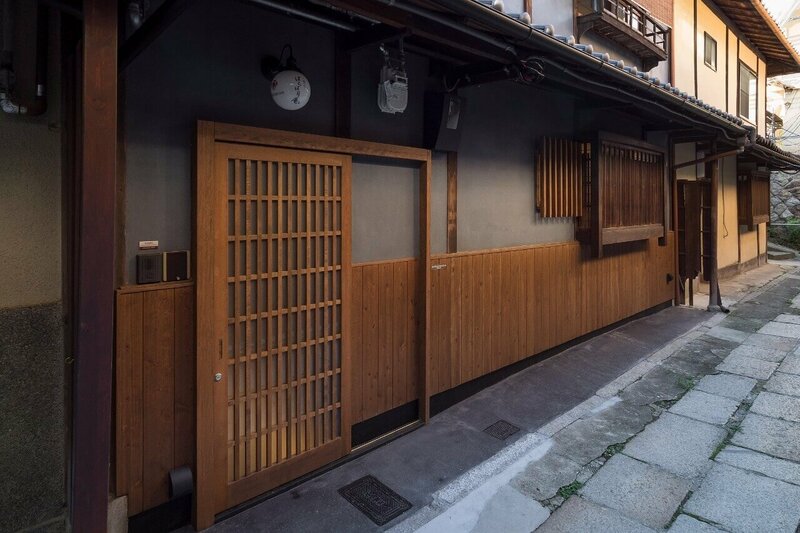 Taxis will drop guests off near the foot of the Yasaka Pagoda (weekdays). 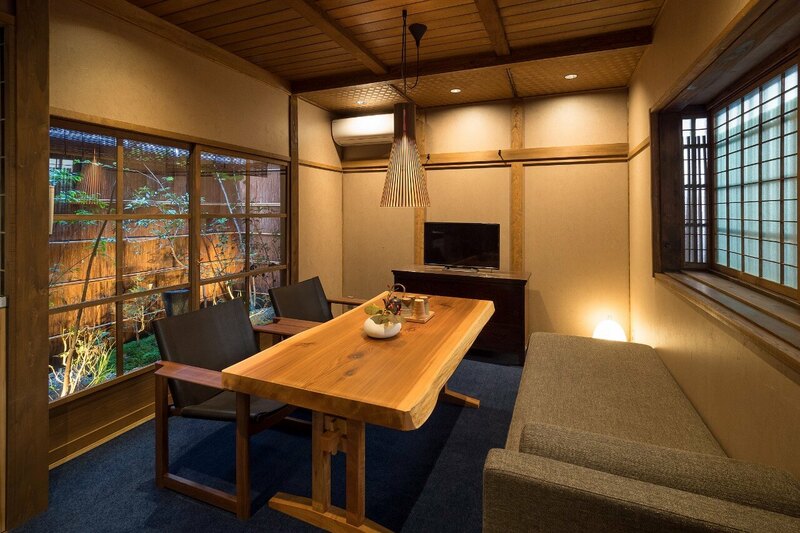 On weekends & holidays, due to road blockage, guests will be dropped off near the main road. 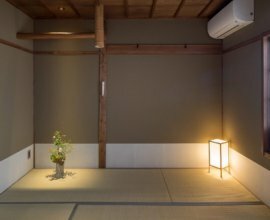 Please contact our staff for more details and information. 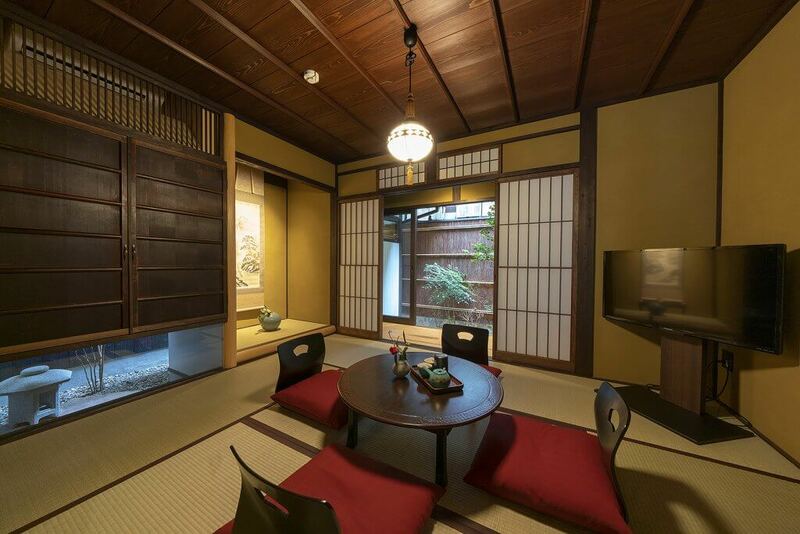 With the Yasaka Pagoda a few meters away, Bonbori-an machiya house is a beautifully restored traditional property that will transport you a world away. 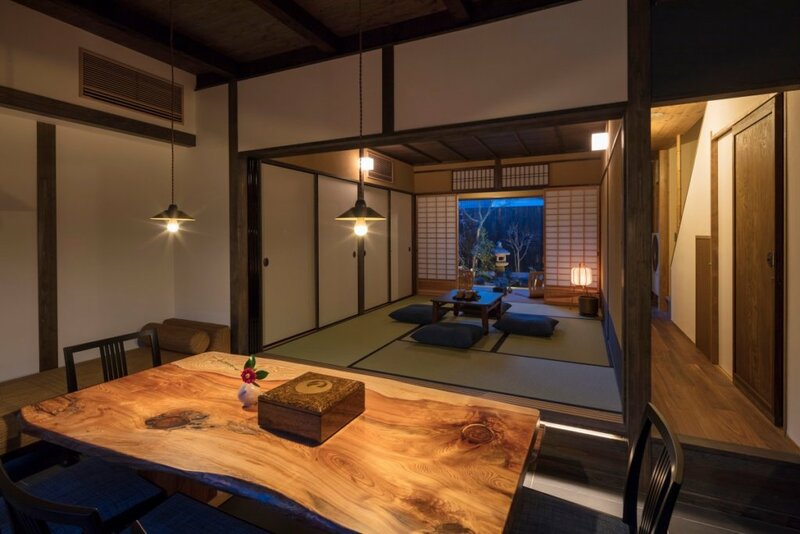 Although this traditional Japanese house is one of the most popular areas of Kyoto (Higashiyama District) you will be surprised by the quaint local life, and tranquility that will envelope you as you step through the wooden doors. 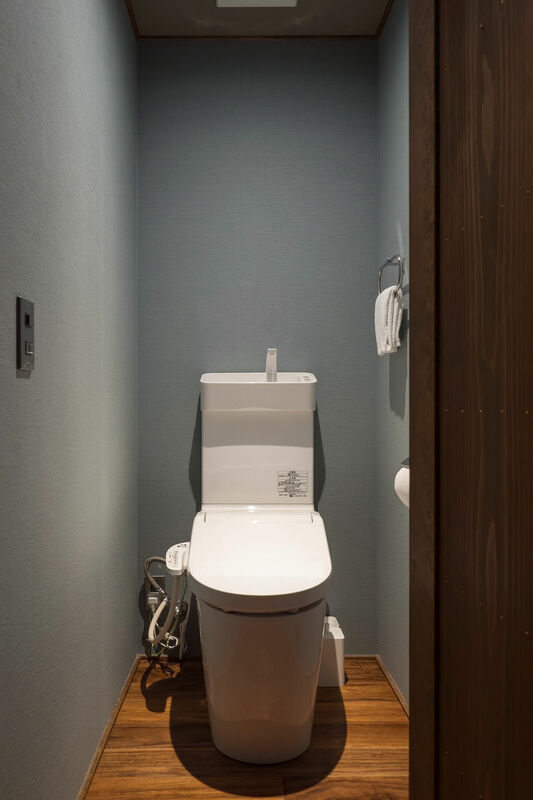 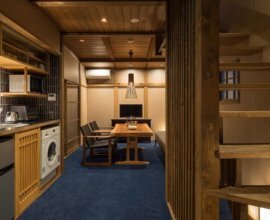 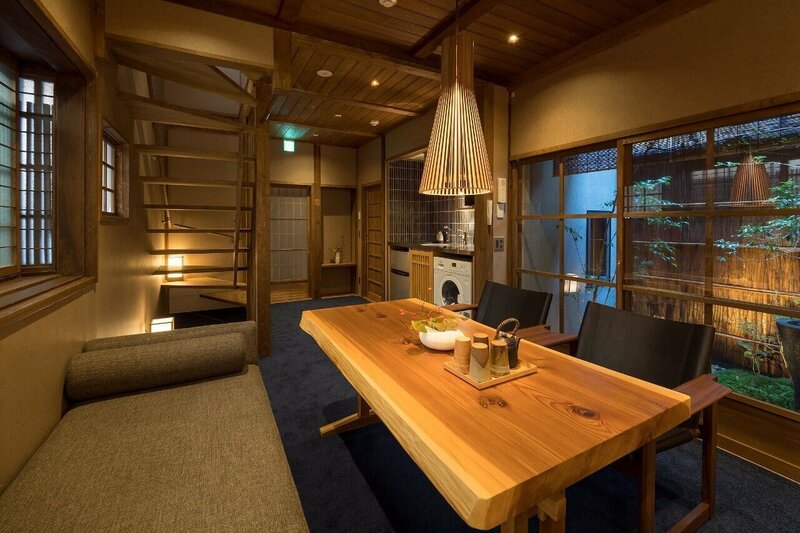 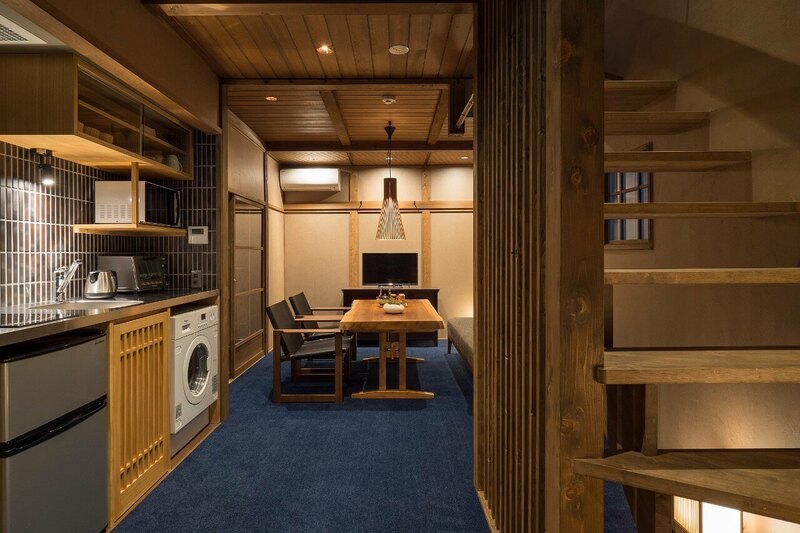 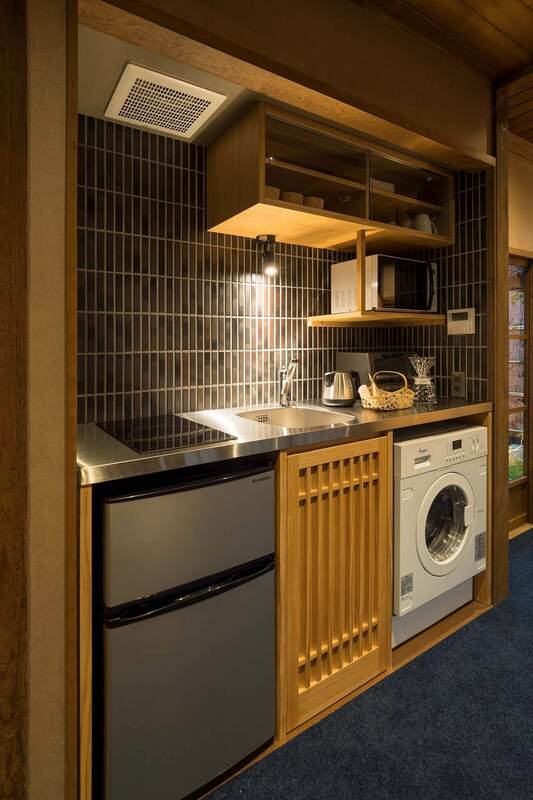 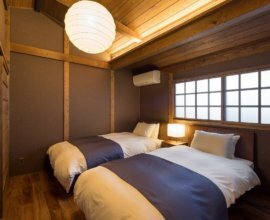 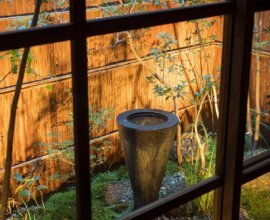 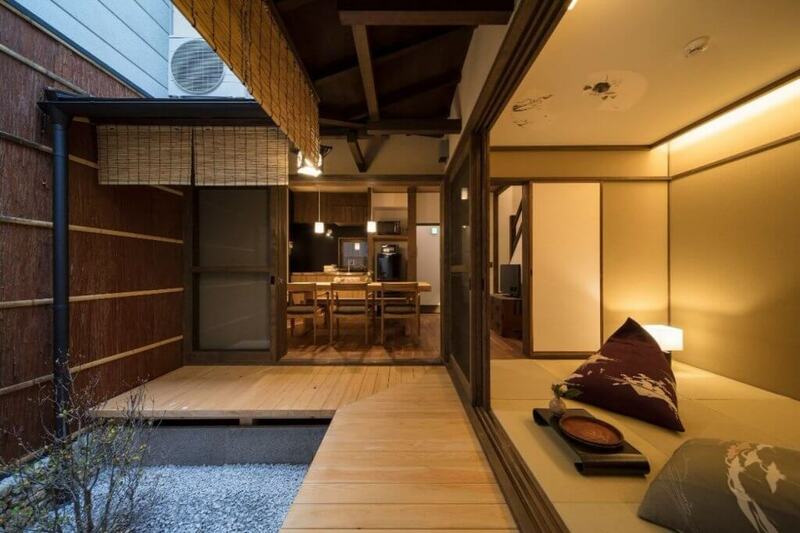 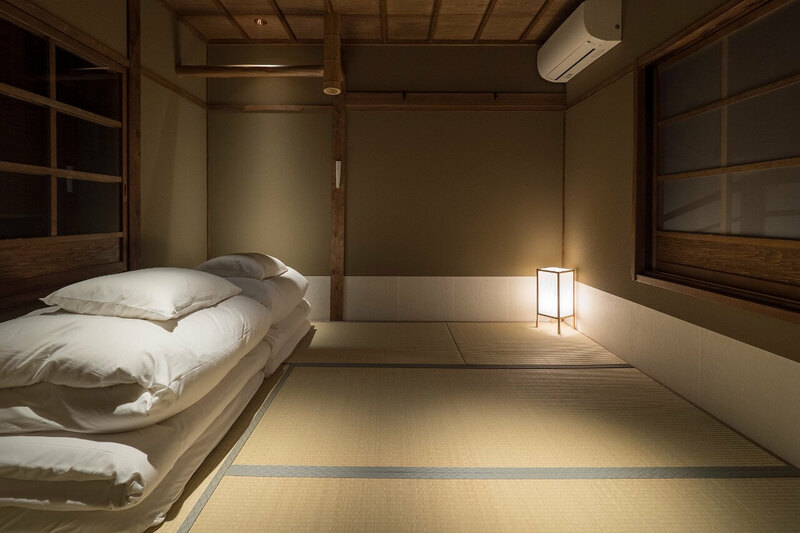 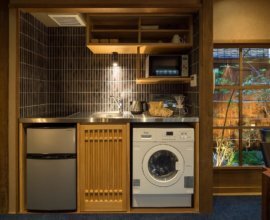 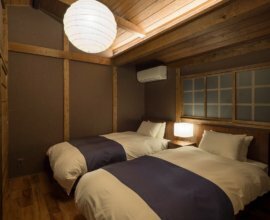 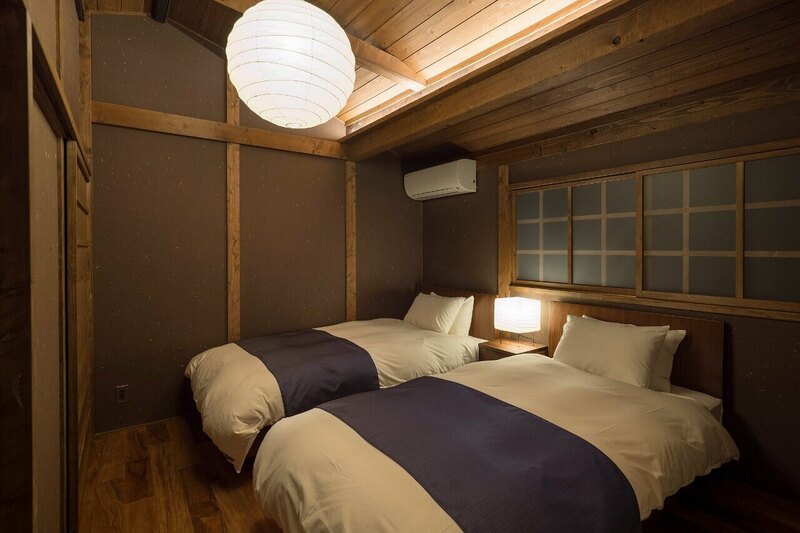 The perfect balance of 「和洋」--both a Japanese-style and Western-style -- Bonbori-an is a house that has been transformed to provide you with a comfortable space to relax during your time in the city. 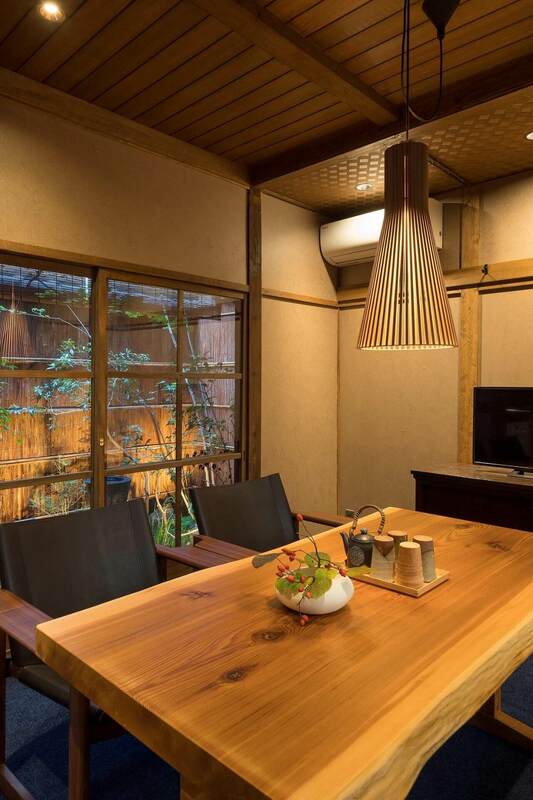 Machiya shaped by history From the Yasaka Pagoda, turn down a quiet, residential alley. 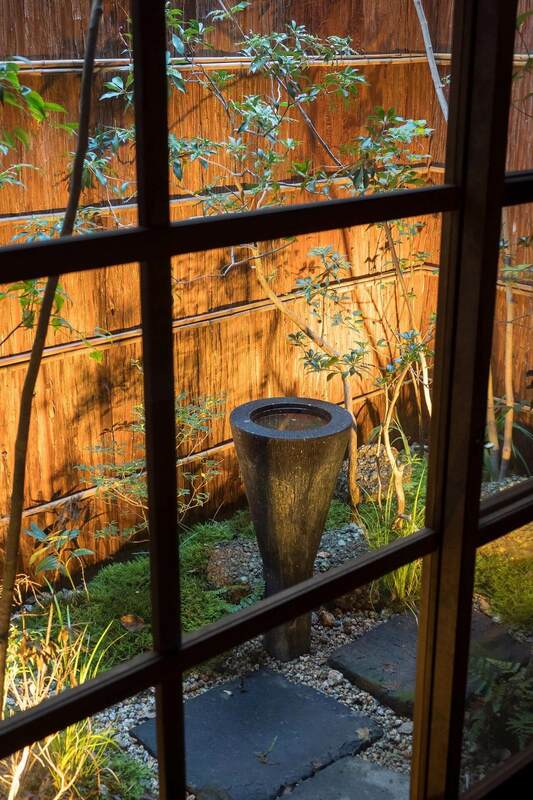 At the end of the stone path, find this traditional machiya. 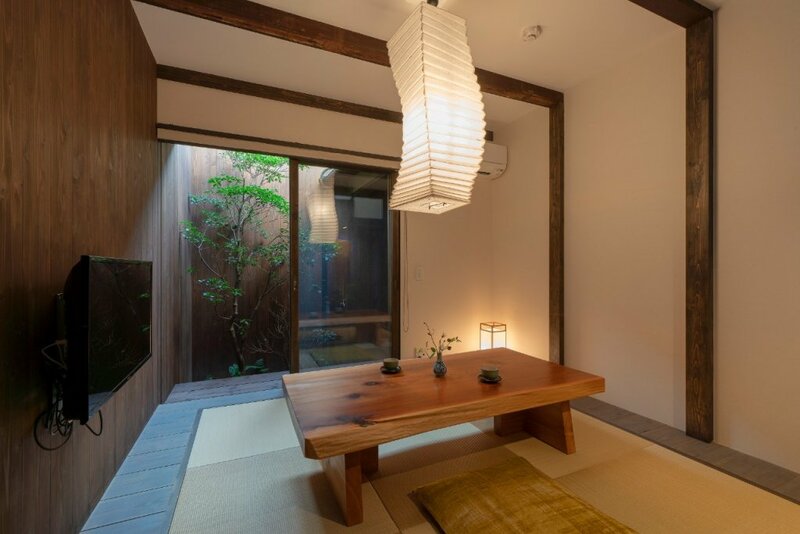 Open the wooden lattice door and step inside this tranquil space. 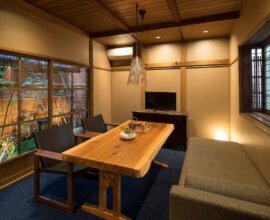 Common area with a garden A gorgeous view and warm wooden accents make the dining and living area the perfect place to gather. 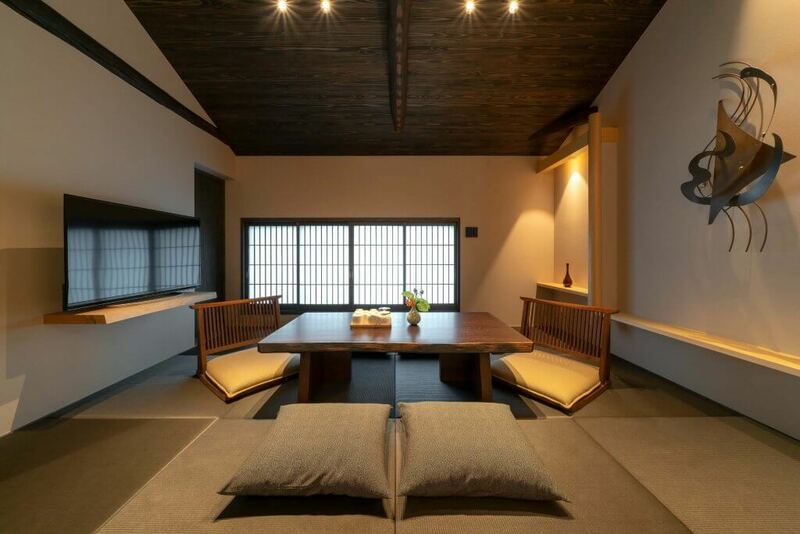 Marvel at the ‘ajiro tenjo’ wickerwork ceiling, a special feature of traditional tearooms. 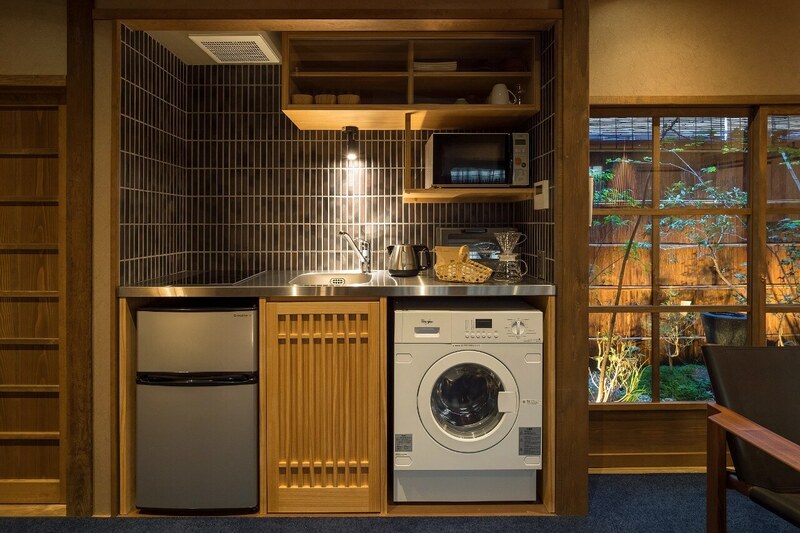 Kitchen Choose to stay home and prepare a light meal using fresh, local ingredients in the fully outfitted kitchen. 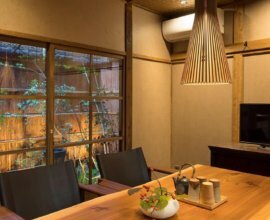 Savour a cup of our own pour-over MACHIYA coffee before heading out for the day. 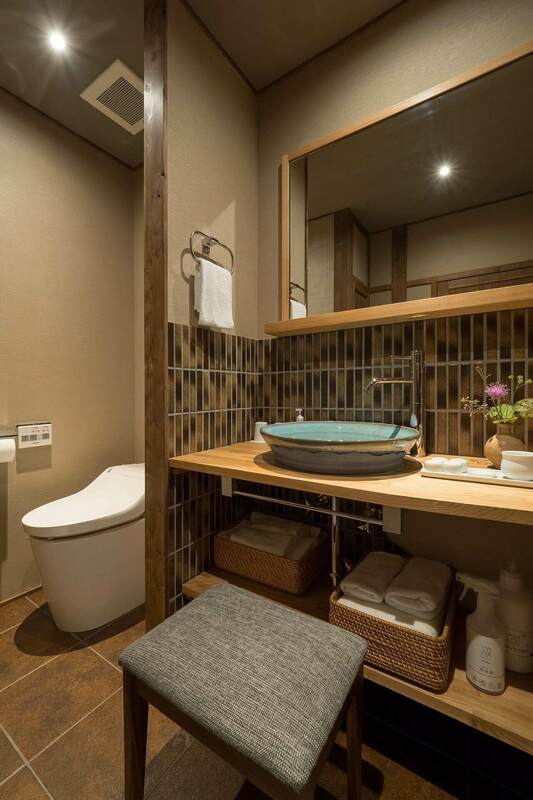 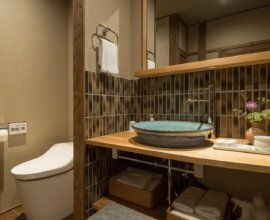 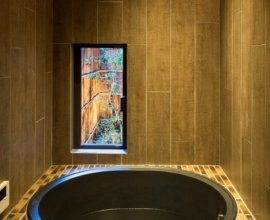 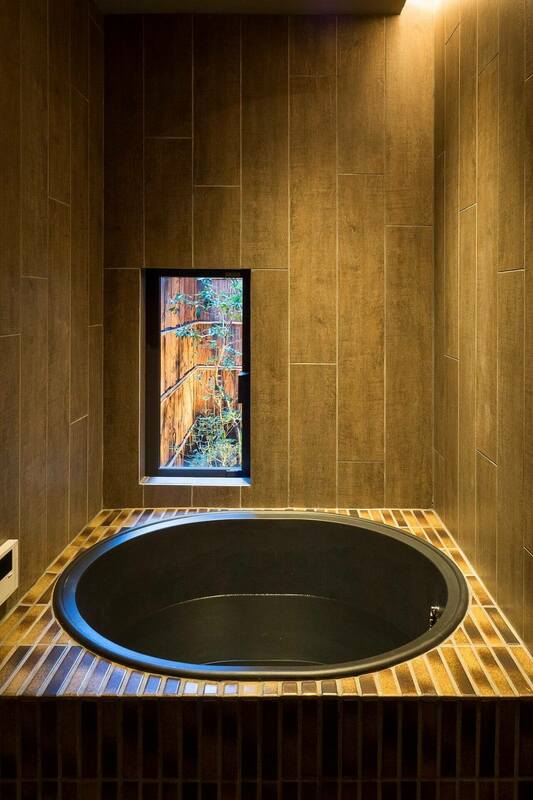 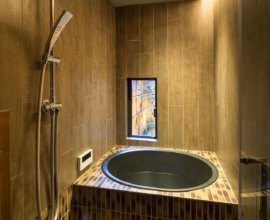 Bathroom A deep ‘goemon’ cauldron bathtub is the perfect place to relax and refresh. 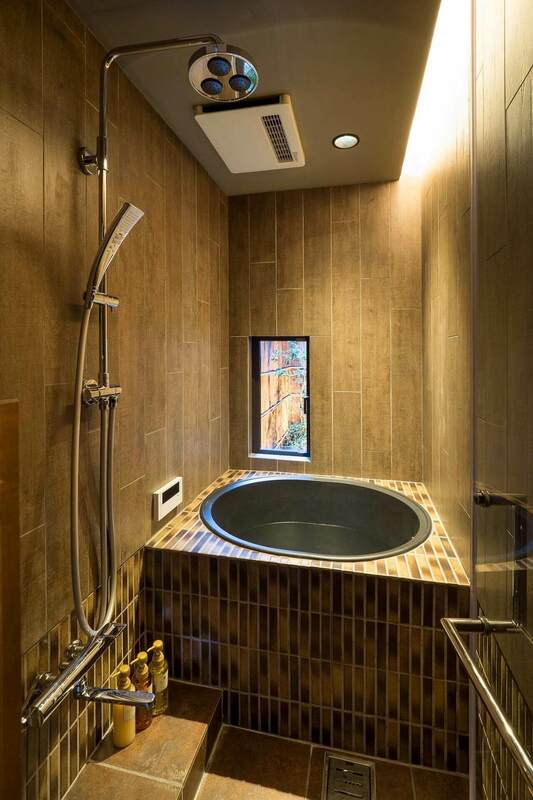 Take a refreshing shower under the rainfall shower using our luxurious bath amenities. 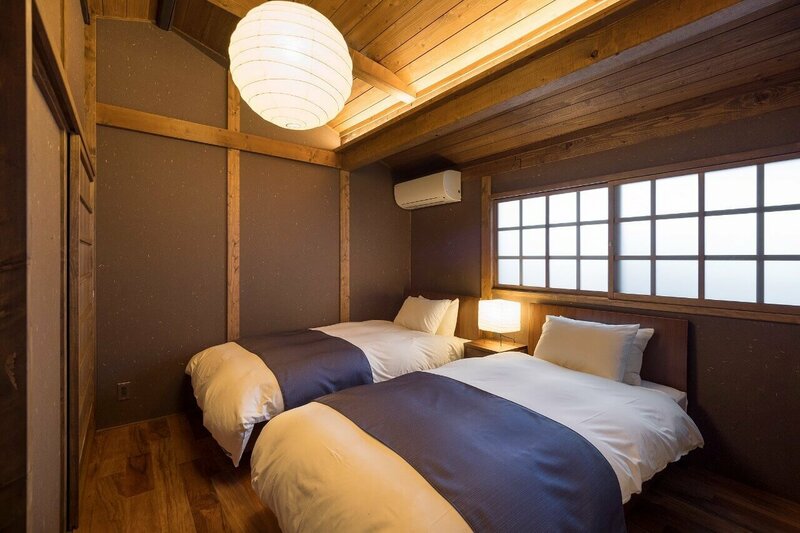 Western-style bedroom Open the sliding doors to reveal a warm and inviting space. 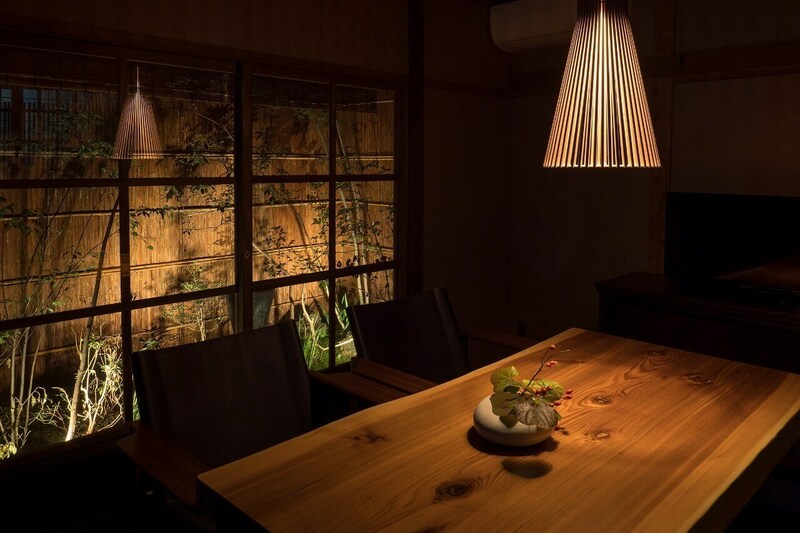 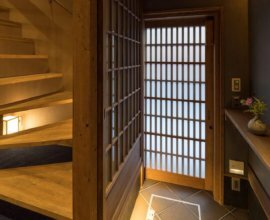 Soft illumination from the indirect lighting and Japanese paper lantern brings out the richness of the woodwork. 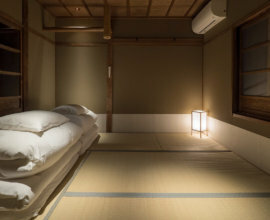 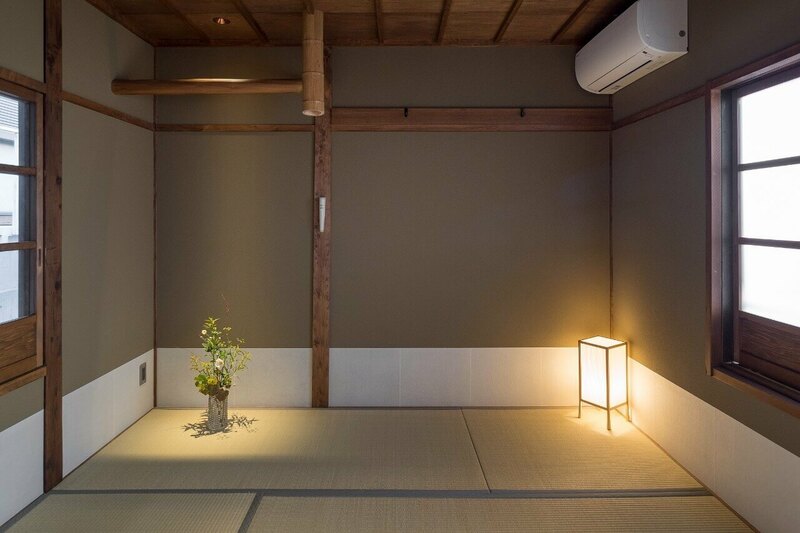 Japanese-style bedroom Tatami and ‘koshibari’ paper that covers the lower part of the walls are two elements of a ceremonial tearoom. 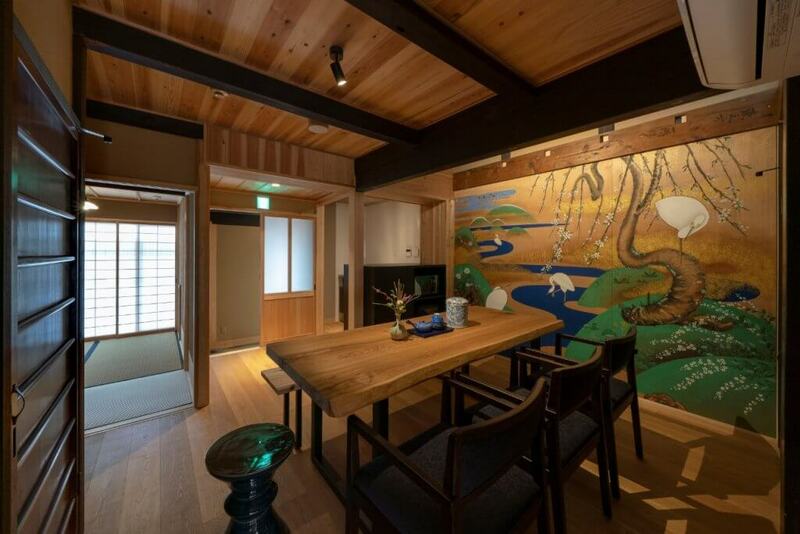 Also find bamboo and a ‘go’ square pattern wooden ceiling. 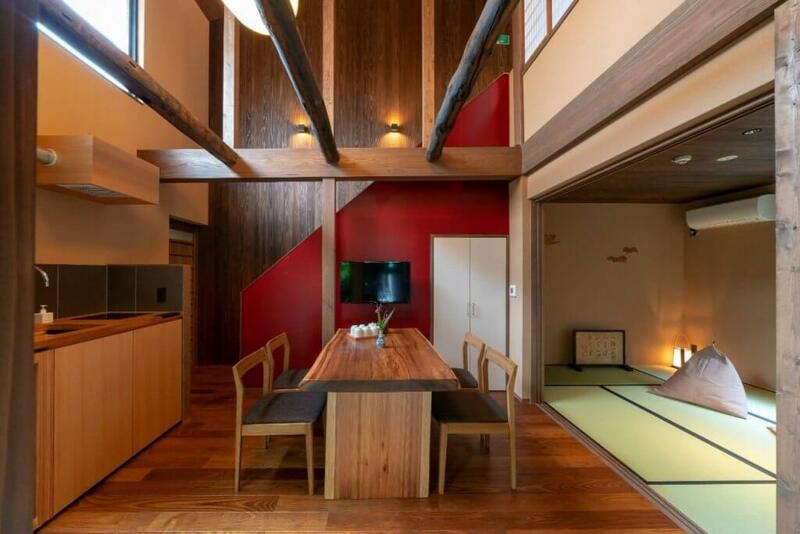 Take a morning stroll to Kiyomizu Temple, a short 7 minute walk away, or explore the streets of Gion and Hanamikoji street. 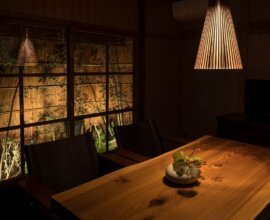 If you would like to explore the mysterious bamboo forests of Arashiyama, jump onto the local Kyoto City bus or take the subway. 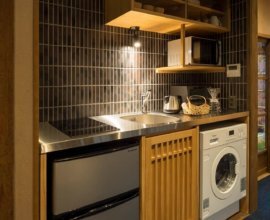 Discover quaint shops, and local eateries as you weave through the stone-cobbled streets. 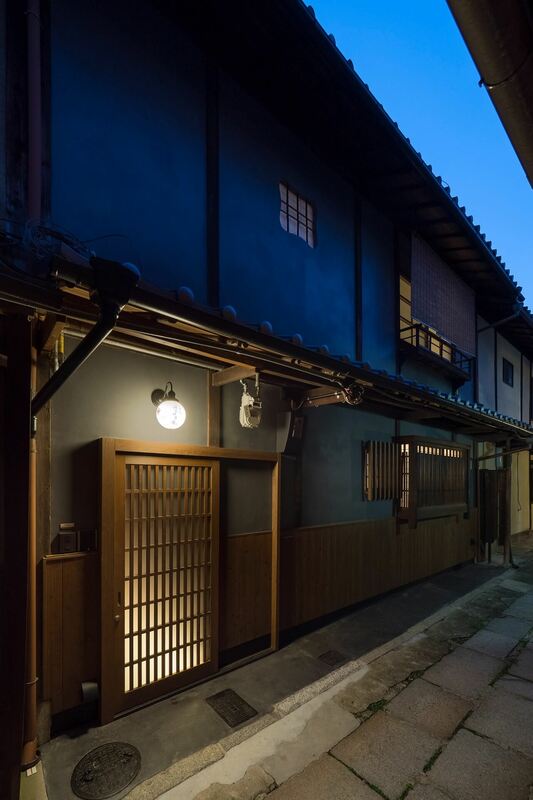 Explore the streets that were once occupied by maiko girls, local merchants, and filled with the vibrant atmosphere of the Kyoto to truly experience the city as a local. 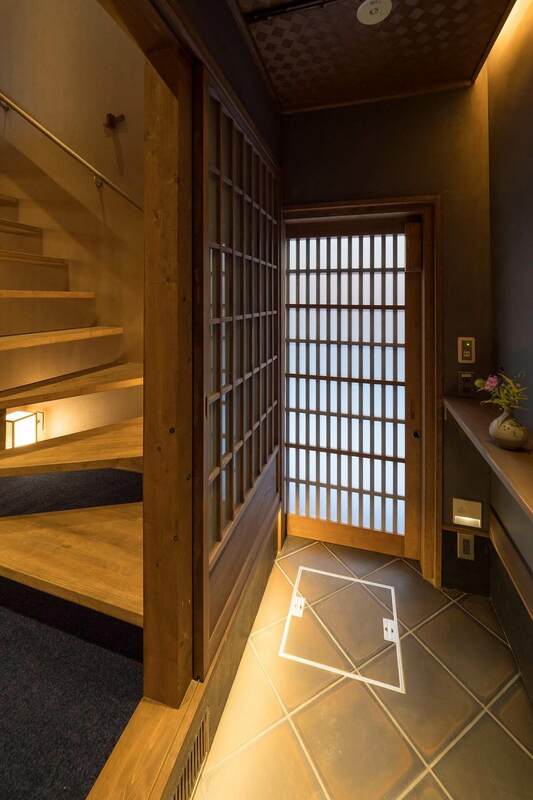 1) Take the Kyoto City Bus "100"
*As the machiya house is situated at the end of a narrow alleyway (with steps) taxis/vehicles are unable to drop guests off in front of the house. 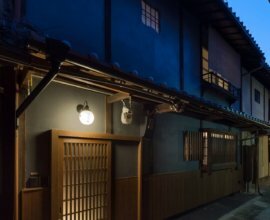 Taxis will drop guests off at the foot of the Yasaka Pagoda on weekdays. 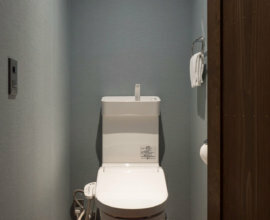 On weekends & holidays, guests will be dropped off at the main road due to road blockage during holidays and weekends. 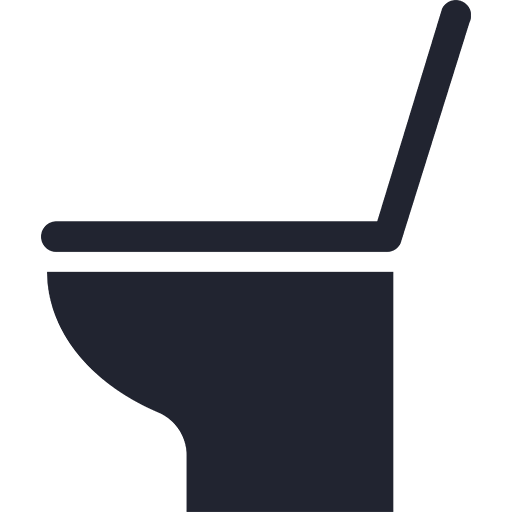 Please contact our staff for more details and information.